This article in the New York Times on the joint Metropolitan Opera / Lincoln Center Theater opera / musical theater commissioning program gives a peek into the future of new opera at the Met, in terms of existing contemporary opera on their way to the Met stage as well as the newest participants in that commissioning program. It pairs nicely with 3 new Opera News articles on contemporary composers, 2 of whom, Nico Muhly and Ricky Ian Gordon, have created works for the Met under this program. Muhly’s Two Boys, which premiered in London, will have it’s New York premiere on Monday, Oct. 21st. 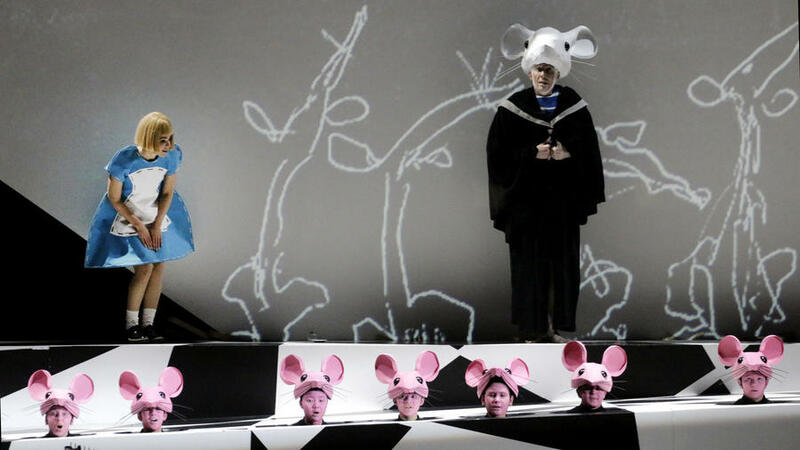 For some more wacky new opera, you can also head over to the Brooklyn Academy of Music to see War Sum Up a combination manga, noh, & electronic operatic meditation on war by Latvian composer Santa Ratniece and classical glam pop band The Irrepressibles. Two performances only, Nov. 1st & 2nd.